This is me Sarah mum of 3: Colour Me In with Rice Krispies! 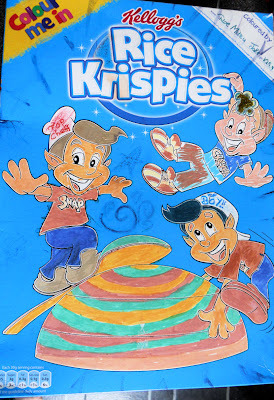 Colour Me In with Rice Krispies! 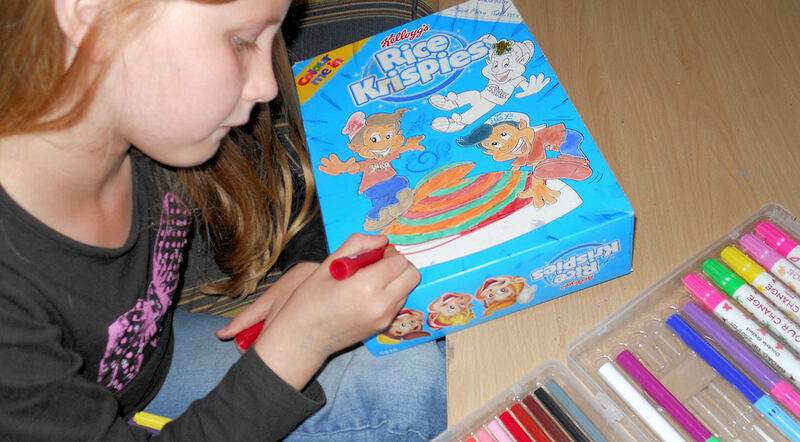 The other day I received delivery of big parcel, inside was a beautiful art set and a huge box of Rice Krispies! What do art supplies have to do with Rice Krispies you may be wondering? well Britums has teamed up with Kellogg's and have asked a group of bloggers to get creative for a chance to see their designs on T.Shirts or even win a £500 prize! This summer Rice Krispies have changed the design of their boxes leaving them blank for children to personalise their breakfast. 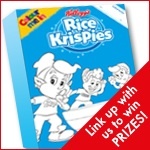 Rice Krispies are such a great breakfast cereal and always popular, they are adored by all three of my children and are often asked for as an after school snack, the familiar characters of Snap Crackle and Pop are well known and it was great fun for the children to give them a new look. 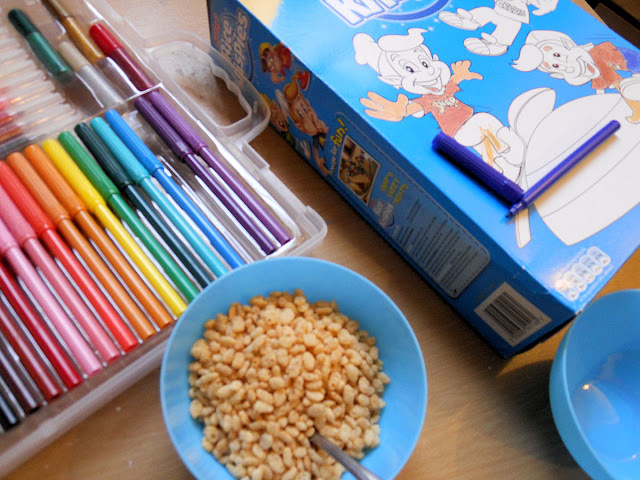 Colouring is such a great pass time and perfect for rainy lazy mornings, with the school holidays coming up and the weather not great I am definitely going to be stocking up on Rice Krispies. They really are a must have, not only for a satisfying start to the day when given as breakfast, but also they are amazing things for quick and easy entertainment - Chocolate cakes are a must and now with the 'colour me in' boxes they have even more entertainment value! Here is our finished Box which we're entering into the Britmums #ColourMeInRK competition. If you want to see some of the other design and how other Britmum Bloggers have decorated them then be sure to pop over to the linky! 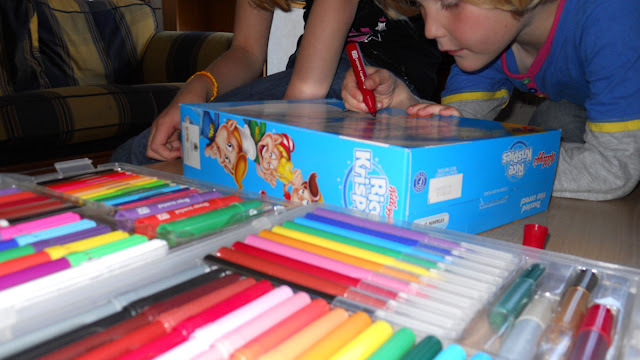 Wow what a good idea having a colouring in box! 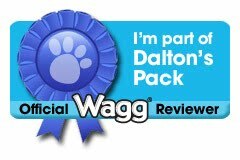 Great work on yours too! Ooh, fabulous work and attention to detail! I particularly like the design on the bowl! Great effort!